The bed sets and headboards we offer at Mattress Express by Woodstock Furniture in Hattiesburg and Meridian are a curated collection that we hope to inspire you to make your bedroom your favorite retreat. We welcome you to turn your bed into an indulgent experience in luxury, a comfortable reading spot, a rustic nook, a homey retreat, or an exercise in bold and daring design. 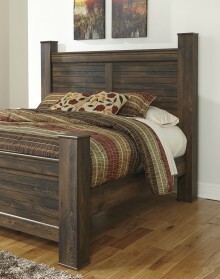 You spend a large fraction of your life in your bed, allow our bed sets make it somewhere meaningful for you. Mattress Express wants to know what your bed says about you. Residents in Hattiesburg and Meridian might not ask themselves all that much if their style is reflected in something as basic as their bed, but what if they did? Would their bed be adorned with dark wooden accents or bold champagne paneling? Is black leather the look to go for, or rustic wood? We put the express in expression at Mattress express, and for your bed set, we want you to use our vast collections of styles and looks to build the bed set you’ll be dreaming on for the years to come. Beds have come a long way from only being offered in box spring, and we’ve been keeping up with all the trends. If it’s time for you to find a new bed, our stores in Meridian and Hattiesburg both offer fifty-floor models to try and out and find what is right for you. Our beds range from box spring to the latest in Tempur-Pedic, Sealy, Sterns and Foster and more. When you’ve found the perfect bed for yourself that suits all your needs in comfort, take the time to make it your own with our large range of bed sets. We want to make your experience at Mattress Express as rewarding as possible. When you leave one of our four locations in Meridian or our location in Hattiesburg, you’ll be headed towards the best sleep of your life. Mattress Express by Woodstock Furniture was founded in 1978 and has been providing customers with quality bedroom sets for over forty years. Our customers expect professional service and passion that we bring to our locations in Meridian and Hattiesburg. Bed sets at Mattress Express represent our vision of bringing beauty and comfort to Meridian and Hattiesburg homes that will last for years to come. Our knowledgeable staff will work with you to find a bed set that fulfills all your needs for a restful night’s sleep. We know that we are the type of mattress store that you’ll want to keep in your family for years to come. 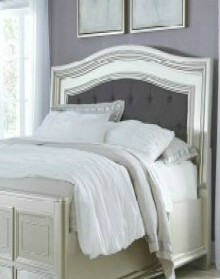 Visit one of our locations in Hattiesburg or Meridian today to find the bed set of your dreams.